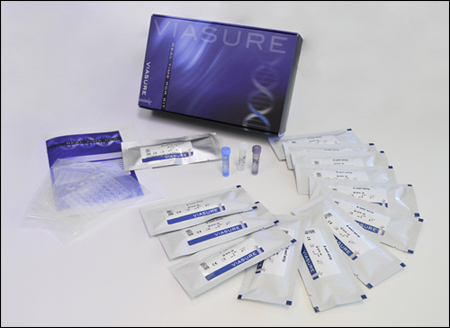 VIASURE RSV A+B Real Time PCR Detection Kit is designed for specific identification and differentiation of Human Respiratory Syncytial Virus type A and/or B (RSV A and/or B) in respiratory samples from patients with signs and symptoms of respiratory infection. This test is intended for use as an aid in the diagnosis of RSV A and/or B in combination with clinical and epidemiological risk factors. RNA is extracted from specimens, amplified using RT-PCR and detected using fluorescent reporter dye probes specific for RSV A and B.